Apparently, ​the Dallas Cowboys really are not America's team after all. 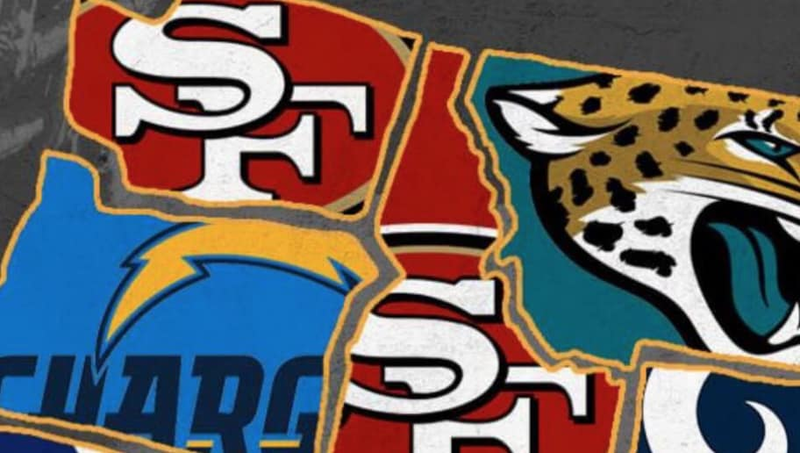 A study done by Custom Ink determined every state's favorite out-of-state NFL team. The map reveals some interesting insight as to which teams fans in every state cheer for when their local team is not in the picture. ​​According to the infographic, the ​San Francisco 49ers are the most popular out-of-state team in the U.S. The Pittsburgh Steelers come in second followed by the New York Giants at third. It does beg the question as to why the 49ers and the Giants are so popular outside of their own states. And, interestingly enough, the Giants are the most popular out-of-state team in California while the 49ers are the most popular out-of-state team in New York. Maybe the two states have more in common than we thought. The map also shows some rather weird results. For instance, why do fans in Alaska like the ​Indianapolis Colts so much? There doesn't seem to be any sort of obvious connection there. Fans on social media also thought this revelation was quite odd. ​​This study was done based on Google search results, however. Therefore, Alaska might simply be really fascinated with the Colts and simply use Google to search everything about them. It makes more sense that way, anyway.